Solidly crafted of hardwood solids and timeless cherry veneers, Expedition was created for today's active youth lifestyles. Multiple generous storage pieces and four unique bed options provide Mom with a variety of functional solutions to outfit her child's room and organizational needs. Whatever the task, Expedition is ready! 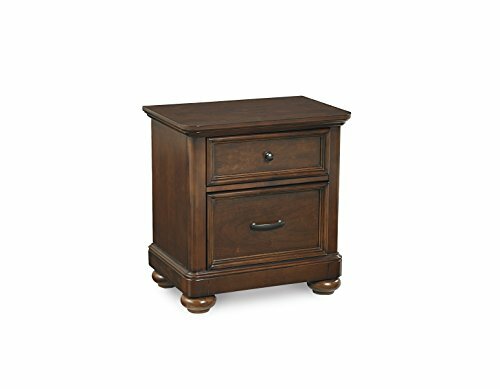 The nightstand is perfectly sized and features, two drawers, hidden storage in the bottom drawers and a power strip.